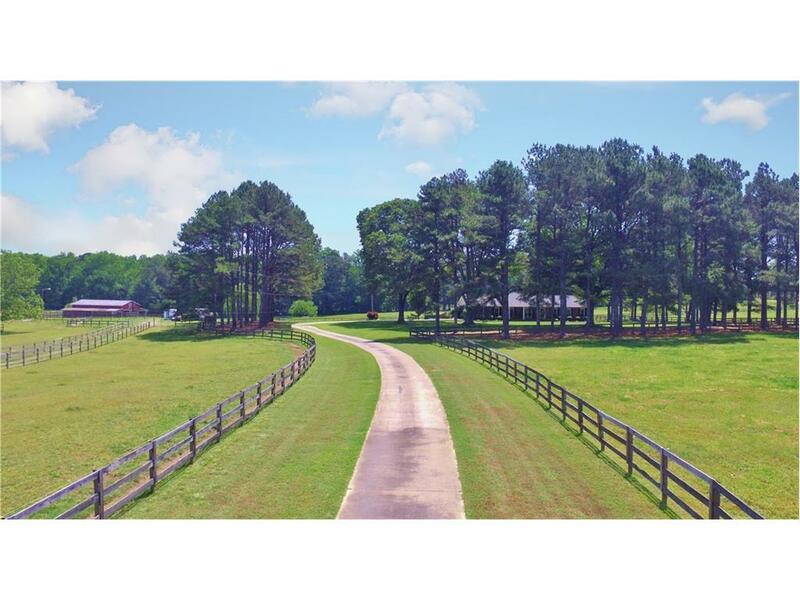 Brookstone Farms is a Magnificent 22 Acre 4 Sided Brick Ranch Home with Solid Wood Doors, 20 x 30 Family Room with a Beautiful Stone Fireplace, a 20 x 20 Sunroom, Lge Kitchen with Breakfast Area, Overlooking the Pool and 6 Pastures. Two Bdrms with Ensuites and an Additional Bedroom, Large Rec Room in the Basement, Along With an Additional 3rd Car/Truck Garage in the Bsmt as well as Workshop and Storage Room. This Property Also Has 2 Barns. One Barn is 60 x 60 with a Center Isle, 7 Stalls (12 X 15). The Second Barn is on the 3 Acre Pasture. A HORSE LOVERS DREAM! Directions: Take Hwy 85 South To Hwy 85 Connector Towards Brooks Turn Left. Go 4.5 Miles And Take Left On Brooks Rd. Travel 1.2 Miles And Home Is On Left, Mailbox On Right. 358 Brooks Rd.